The drive also aims at boosting booth-level teams, which will do the spade work and help revive the party’s connect with the voters, said a Congress insider. 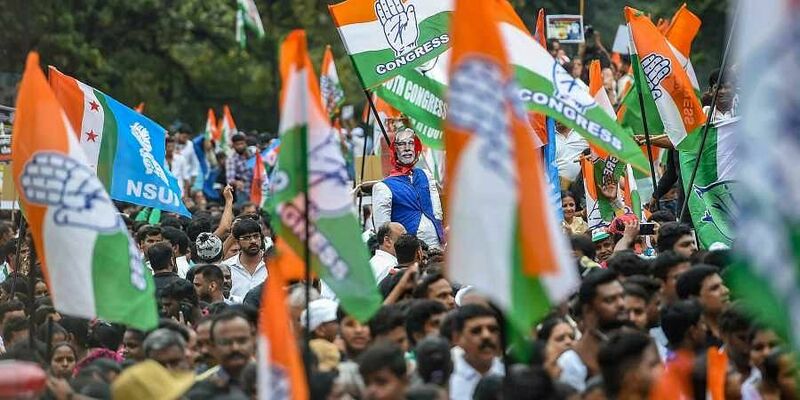 NEW DELHI: In an attempt to overcome the funds crunch ahead of the 2019 general elections, the Congress has launched a nationwide drive to localise the mop-up, directing its 9 lakh-plus polling booth teams across India to raise `22,000 each. As per the plan being monitored by AICC treasurer Ahmed Patel, 50% of the mopped up funds would go to the AICC while state, district and block level committees would get 25%, 15% and 10% share, respectively. “The Congress is a mass-based party. But over the past decades the vital voter connect gradually diminished, which played a role in the 2014 poll debacle,” a senior AICC functionary admitted. Party insiders said the Congress has been battling paucity of funds after losing the 2014 LS polls and a series of Assembly elections thereafter. ACCORDING to ADR, the donations to Congress in financial year 2014-15 were `141.46 cr, `20.42 cr in 2015-16 and `41.90 cr in 2016-17. According to another Association for Democratic Reforms report, the BJP declared an income of Rs 1,034 crore during 2016-17 from Rs 571 crore in 2015-16 while the Congress witnessed a drop of 14 percent with a total income of Rs 225 crore in 2016-’17. In contrast, the BJP emerged as the party receiving maximum donations, an ADR report stated. The BJP was also the biggest beneficiary of the electoral bond scheme launched by the government in 2017-18, bagging 94.5 percent of the bonds worth a little over `210 crore. The Congress, which is yet to submit its audit reports to the Election Commission, is opposed to electoral bonds, saying they are against transparency in electoral funding. Congress insiders said the central allocations during the state polls in Punjab, UP, Gujarat and Himachal Pradesh last year were bare minimum with candidates managing most of the expenditure on their own.